Investor Confidence Project has just announced that Performance Systems Development is officially designated an Investor Confidence Project Software Provider. ICP Protocols bring a level of standardization to the inherently complex world of energy efficiency. Core to ICP’s approach is the development of a standardized documentation package to allow owners, investors, insurers and others to validate underwriting criteria. ICP is also undertaking the creation of an ICP workflow which leverages project developers, software producers, and quality insurance providers to create ICP Investor Ready Energy EfficiencyTM projects. The Software Provider Credential program has been created to ensure that standardization can be achieved at scale through automation. Credentialed providers applications allow developers and others to bring ICP compliant projects to market quicker and with fewer resources. The introduction of an ICP Virtual Documentation Package as specified in the guidelines will enable the standardization of documentation assembly, access, and verification and is a key enabler to reduce transaction costs, speed underwriting, and increase investor/owner confidence. Conforming application will also be able to facilitate the workflow required to originate ICP Investor Ready Energy EfficiencyTM projects through an automated and secure process. 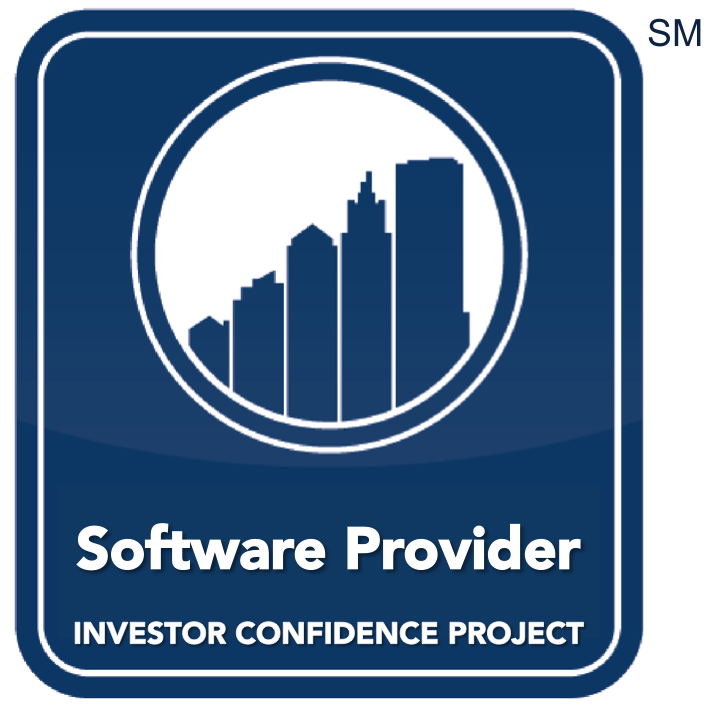 Performance Systems Development is proud to be an official Investor Confidence Project Software Provider. Compass makes supporting the ICP protocol straightforward with third party platform integration such as the EPA’s Portfolio Manager®. Compass streamlines data collection and ensures a robust and comprehensive solution to navigating through or around unforeseen road-blocks. And with direct support for the ICP documentation protocols, Compass can also be configured to support custom variations. Learning more about the Investor Confidence Project. Documentation Management: Software provides a means to access a Virtual Documentation Package or VDP providing access to the documentation specified by the ICP Energy Performance Protocols. Access is controlled so that various parties in the process (developers, owners, QA providers, lenders, underwriters) can access the documentation in a secure fashion based on assigned permissions. Document Association: Users can easily access each identified data element. Document Verification: Compass enables workflows allowing for QA Providers (or other authorized reviewers) to designate that a project conforms to the ICP specifications. Upon such designation the project data and documentation will be “locked” to prevent retroactive changes. Financial Metrics Representation. 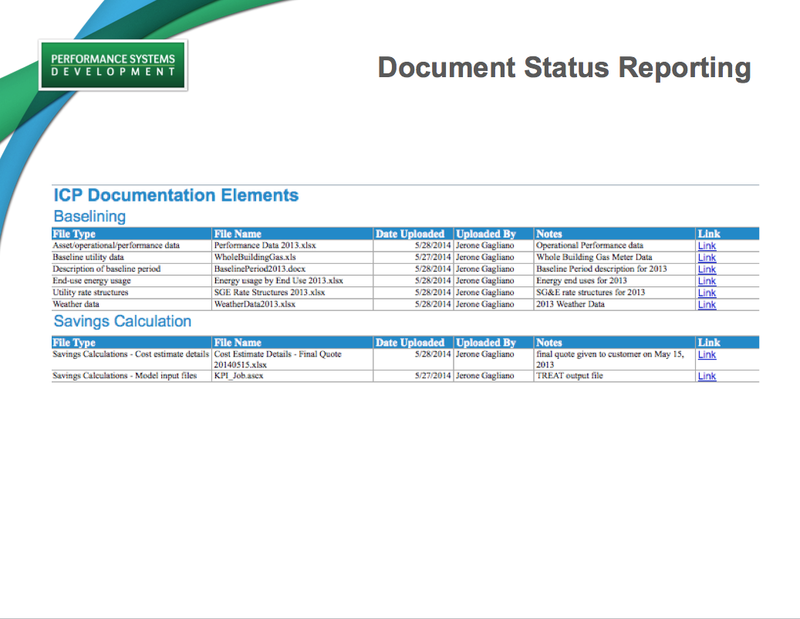 Proposals and other documentation generated by Compass that includes financial calculations (such as cash flows, ROI, SIR, etc.) accurately references savings calculations based on the ICP protocols and are calculated accurately in accordance with industry standards. Performance Systems Development (PSD) is an industry leader in translating building science expertise into powerful software tools & innovative program services. PSD’s trusted program services, software development, engineering services, and workforce development expertise have a legacy of success in moving the energy efficiency industry forward. 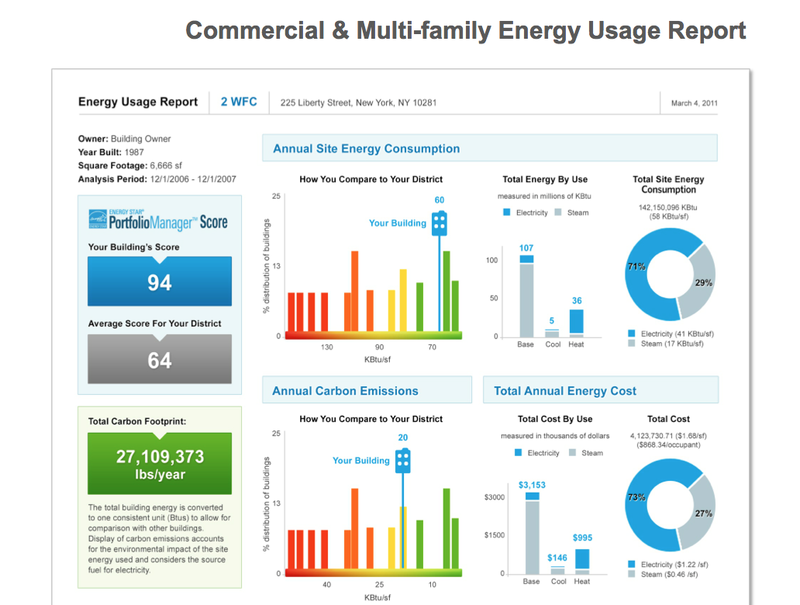 PSD’s flagship enterprise software, Compass, was developed to meet the diverse needs of managing energy efficiency programs, including those specific to commercial finance programs such as PACE and utility finance programs. This solution also benefits municipal finance programs, banks and loan funds looking to automate processes, and contractors looking to expand their access to capital markets. This fully configurable software solution allows for custom workflows that easily adapt to the needs of this ever-growing market. Workflow management of submitted documents and document storage. 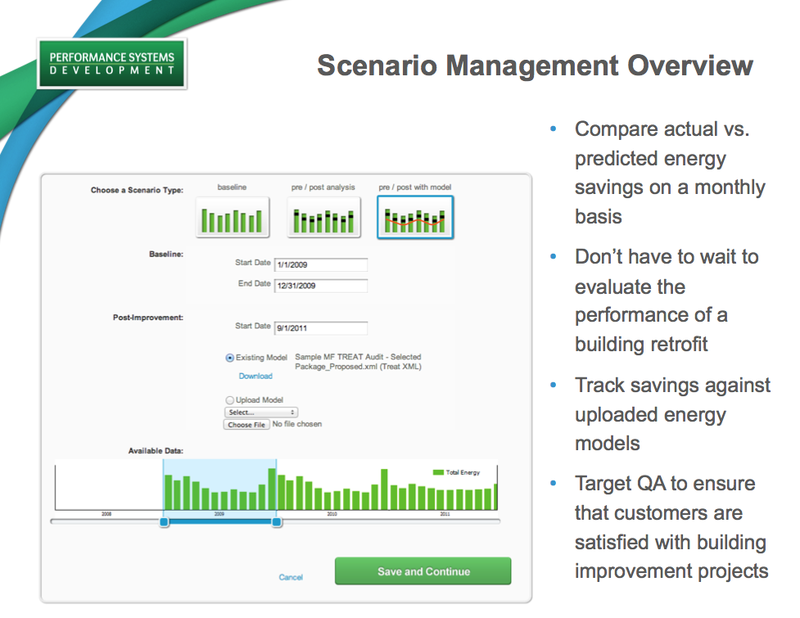 Linkage with EPA Portfolio Manager for ongoing retrieval and analysis of energy usage information. Ongoing savings measurement including baseline determination and adjusted baseline. Preliminary screening of savings potential using parametric savings. 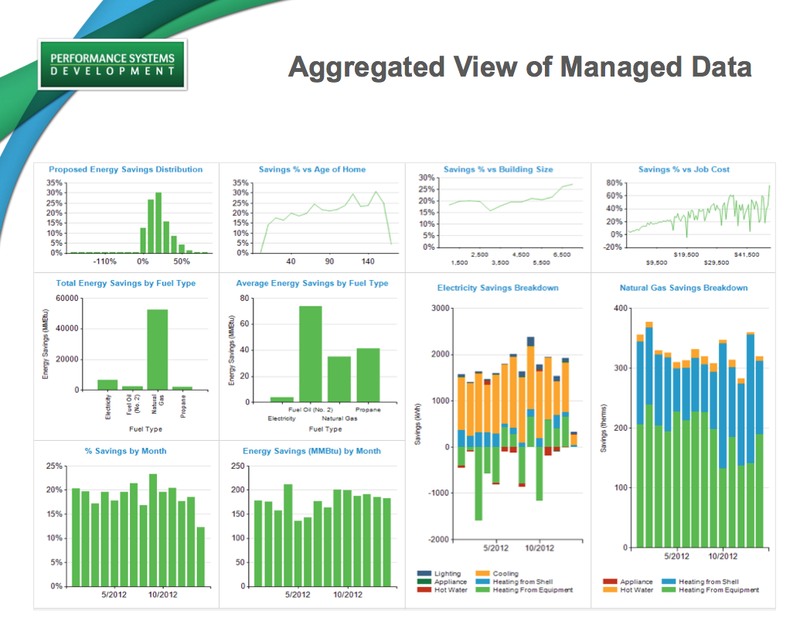 Portfolio view of building performance including disaggregated usage. Upload of data from configured spreadsheets. Compass links to customer portals or existing websites. Tablet based custom data collection. Through a combination of file management and reporting, Compass comes already set up to manage the documentation associated with a ICP compliant program. Program staff can quickly see which document elements have been provided and drill down to review those documents. Compass provides reporting on a variety of metrics. Reports include summary reports on pipelines, project status and accumulated savings as well as reporting on individual buildings. The programmable link from Compass into external systems allows reports to be generated from data feed into connected systems such as SalesForce. Compass’s powerful analysis engine and user-friendly interface allows program administrators and building performance specialists to quickly and accurately provide a comprehensive view of a property’s energy impact. Compass streamlines the administrative process with sophisticated workflow & incentive tracking, stakeholder management, and program level reporting. 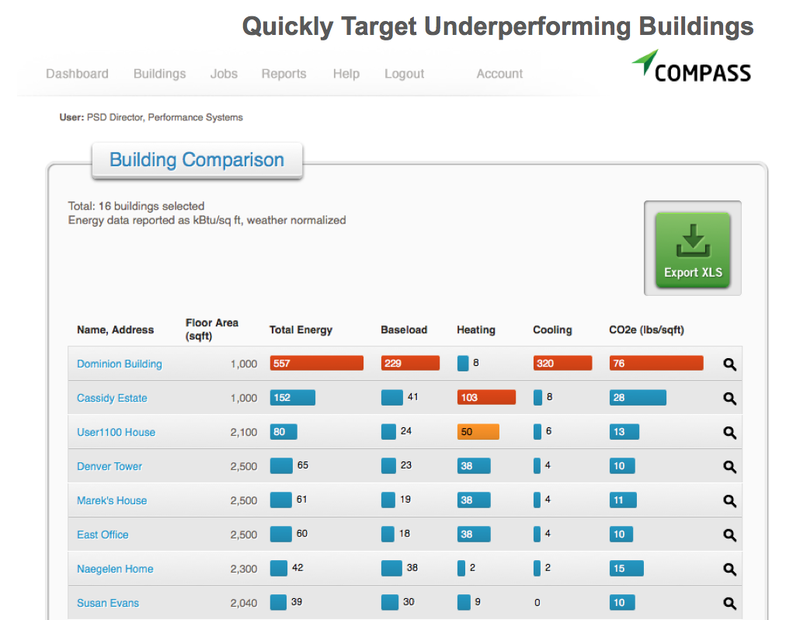 Compass has informative benchmarking reports that make it quick and easy to spot underperforming buildings and malfunctioning equipment. 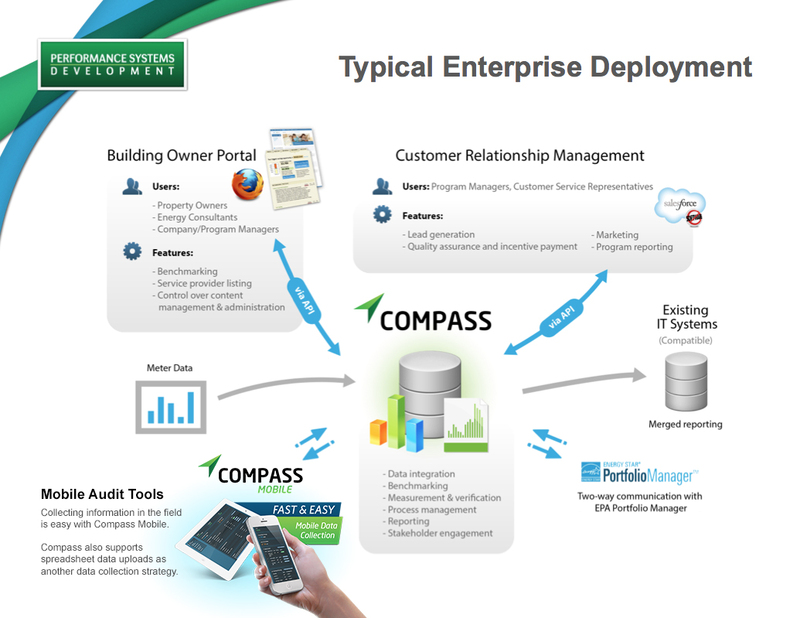 Compass is fully integrated with EPA’s Portfolio Manager (PM) via a well-established API connection and can both pull and push data from PM allowing the detailed analysis of usage and space data entered into Portfolio Manager, including PSD’s unique Advanced Quality Management System for Portfolio Manager. Compass can be configured for the quick analysis of savings potential of common energy efficiency measures based on a minimal number of inputs. These calculations can be accessed directly through Compass, via connected portals, or via the Compass Mobile Audit Tool and can be integrated with stock or custom reports. So, whatever your program needs, trust the versatility and accuracy of Compass by Performance Systems Development to power your energy efficiency program!